FTC #7172 (“Technical Difficulties”) is hosting a Kickoff event on September 19th for the 2015-2016 FIRST Tech Challenge season. The purpose of the kickoff is to share details about the upcoming season, including game rules, league and qualifier play, the new Android Technology Platform, and more. 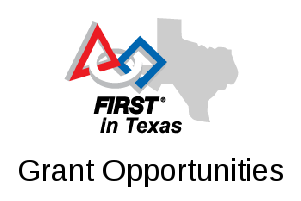 At the Kickoff we will have an official FTC competition field (complete with game elements) and some example robots using the new technology platform. We intend for this event to also be an opportunity for teams to network, discuss game strategy, and share robot design ideas. The Kickoff will be held 9:00a-12:00p at Fellowship Christian Academy, 1821 W. Camp Wisdom Rd, Dallas, TX 75232. We will also have stations, equipment, and people on hand to help teams convert batteries and wires to use Anderson Powerpole connectors. If you have any older batteries, charge them up and bring them with you, as we will also be providing “battery health checks”. These are the same checks that are performed at the World Championship, they let teams know in advance which batteries are having difficulty supplying power or holding a charge. Although we’ve tried to acquire as large a venue as we can for this event, space may be limited. We’re asking teams to register early for the event, and consider limiting attendance to ten people per team (coaches and/or team members). We look forward to seeing you on the 19th, and best of luck for a wonderful 2015-2016 season! Why hold the kickoff on September 19th instead of the day of the game reveal (September 12th)? We deliberately chose Sep 19 for this kickoff event instead of Sep 12. Many places hold kickoff events that occur at the same time as the game reveal from US FIRST (i.e., Sep 12 at noon EDT), but we feel that the gathering will be much more useful to participants if at least a few teams have had some time to read, analyze, and digest the game details released on the 12th. Meeting on the 19th should allow for better questions, discussion, and sharing to take place. We’ll also have the benefit of having access to early game corrections or updates that may appear on the FTC Game Q&A forums.